Support the Rediscovery of the Aliveness of Your Being - Balancing Body, Mind, Spirit and Presence in Wholeness. With over thirty years experience in the healing arts, Deliah is committed to facilitating health and well-being as her contribution toward the healing of our planet. 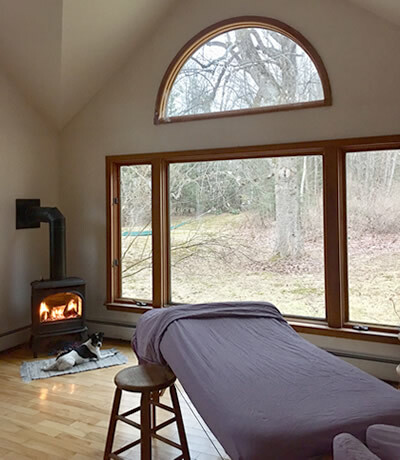 Each session weaves therapeutic and medical massage, energy balancing, integrative acupressure, structural realignment, and foot reflexology to optimize your ability to access the healing energies surrounding us all. Together we create space for releasing physical, emotional and energetic restrictions – allowing a deeper level of ease, comfort and connection to emerge. During individual sessions, Deliah partners with you to facilitate healing and recovery from acute or chronic physical injuries and ailments, motor vehicle accidents, emotional trauma, anxiety and life’s stresses – releasing restrictive patterns and supporting well-being, ease and spaciousness in everyday living. Spiritual Direction is a contemplative practice that attends to your soul in the company of a skilled guide and companion. A monthly, hour-long session offers attentive awareness towards discerning Divine presence in your everyday life. It offers tools to help your personal unfolding with the support of a deepening awareness of your connection to the Infinite Source. Ease into clarity and balance as we explore the wholeness of our being, by recognizing and softening the divisions that have been enculturated in the body. Living in the head we remain divided from the breath, the present and the profound intelligence centered in the belly. The Embodied Present Process™ created by Philip Shepherd. Placing Chi-lel Qigong™ and Zhineng Qigong –the powerful self-healing practice from the Medicineless Hospital in China in a Jewish context, we engage our bodies in gentle energy movements combined with visualizations on the compassionate nature of YHVH. We prayerfully enhance the ability of our entire being to come into balance and deepen our connection Divine Healing Energy. The connectedness and Oneness intimated by our central prayer, the Shema, is experienced through the gentle meditative movements and visualizations of L’Chaim Qigong™, the practice of Radical Wholeness, prayerful chanting and Torah reading – deepening our experience of God as Infinite Divine Energy for ourselves and Tikkun Olam. A monthly Shabbat morning service. As the Hebrew month of Elul begins, it is our time to release and clear ourselves in preparation for deepening our connection with Divine Energy in the New Year. The literal translations of ‘Bochain Chlyot v’ Lev’, a phrase repeated often in our High Holiday liturgy, refers to YHVH, God, peering into and testing our kidneys and our hearts – revealing our innermost thoughts and being. Join us as we playfully create spaciousness within ourselves through breathing exercises from Radical Wholeness- The Embodied Present Process, prayers, chanting and time for individual reflections and writing. Develop a meaningful personal practice for deeper spiritual connection in 5779. Deliah Rosel MPH, DMin brings a unique combination of skills and over thirty years experience in the healing arts. She is a nationally certified Licensed Massage Therapist, certified in Integrative Acupressure with Sam and Ana McClellan and Energy Medicine with Rev. Rosalyn Bruyere. 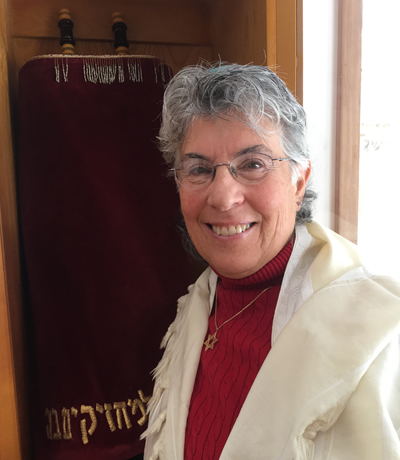 She has a Doctorate in Ministry in Jewish Spiritual Direction from the Graduate Theological Foundation. A certified Chi-Lel Qigong™ instructor, Deliah has created L’Chaim Qigong™- A Jewish Approach to Qigong Healing. L’Chaim Qigong™ – Accessing God through our Spiritual Kidneys in the Jewish Tradition. Chi-Lel™ Qigong: The Self Healing Method of China’s largest medicineless hospital. L’Chaim Qigong™ – Jewish Approach to Qigong Healing. Please feel free to contact me to arrange a session, reserve space in a workshop, or to learn more about Healing Therapies offerings. Use the form or contact information below. © 2018 - 2019 All Rights Reserved. Massage and Energy Healing, Embodied Shabbat Prayer, Radical Wholeness, Spiritual Direction, L’Chaim Qigong™.